Ready to interview your buyer personas? Download our Buyer Persona Aggregator and get started on the path to gaining sales-ready leads. 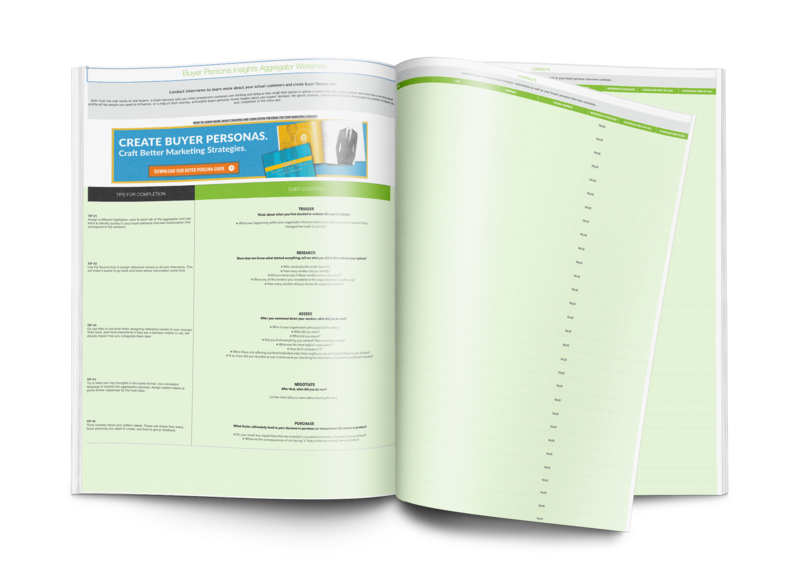 Follow the worksheet and get a steady flow of leads in no time. To learn more about using buyer personas for inbound marketing strategies, you can check out our Buyer Persona Guide here.